"John Nesbitt in Calvalcade of America: Immortal Blacksmith"
John Nesbitt is a popular radio and TV personality in the 1940s to the 1950s. He was an excellent narrator, announcer, actor, producer, and screenwriter. His fame earned him two stars in Hollywood; the one at the south side of Hollywood Boulevard was for radio and the other, at the west side of 1700 block of Vine Street, was for film. 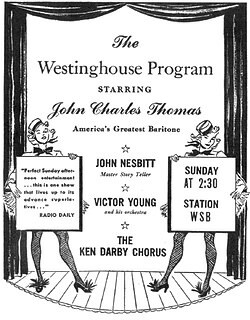 John Nesbitt is known for his radio programs Passing Parade, and The Wilson-Nesbitt Summer Show. John Nesbitt was born on August 23, 1910 in Victoria, British Columbia. His distinct, clear, and well-modulated voice was developed through his daily interaction with his father who had a hearing disability. It was Johns role to speak clearly and enunciate words accurately for his father to understand well. This constant practice proved beneficial to John when he auditioned for an announcers job in a San Francisco radio station. The range of his speaking voice also matched the kind of microphone the station was using at that time. Johns interest for good stories began when he was still a teenager. At 14, he was already collecting stories from his travels. His father also left him a trunkful of news clippings of strange stories from various parts of the world. Many of these became topics of his very popular radio program Passing Parade. 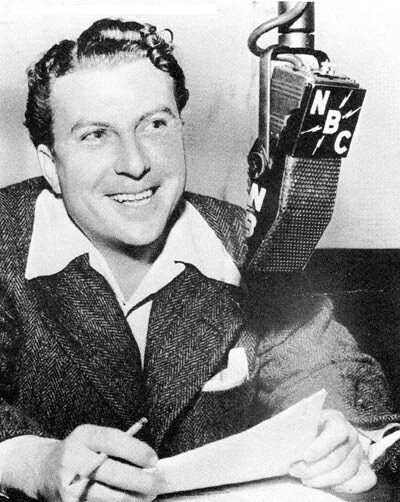 John Nesbitts Passing Parade is a 30-minute radio program that began airing over NBC Radio in February 1937. Hosted by John Nesbitt himself, the show focused on strange events that were either little known or a common knowledge. Included in many of these shows are stories that are or related to historical events. John Nesbitt had a staff of 14 people who were tasked to research about the stories and gather more facts surrounding such event. In 1938-1949 The Passing Parade was produced on film for MGM. In the 1960s, the films were edited and aired as 15-minute docu-dramas on TV. A few of the aired radio episodes are summarized below. 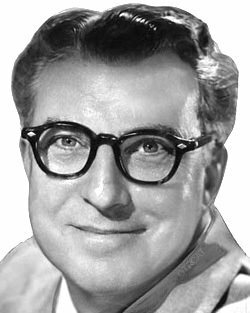 John Nesbitt has a long time friend named Meredith Willson. In the summer of 1942 they came up with a new show for radio that in Nesbitts words had "no formality, no fanfare, no hoopla, just as if you were having a musical party in your own home.... The show was similar to The Passing Parade. The main difference was the inclusion of music played by Meredith Willson. John Nesbitt related stories that had a patriotic theme while Meredith Willson played what they referred to as lost melodies. The origin, composer, and background information about these melodies were first relayed before the audience were treated to the captivating notes of these melodies. Volume 1: Special Appearances in shows such as Calvalcade of America, Fibber McGee and Molly, Johnson Wax Program, Radio Reader's Digest, Screen Guild Theater, and The Westinghouse Program. Be the first to comment on "John Nesbitt"